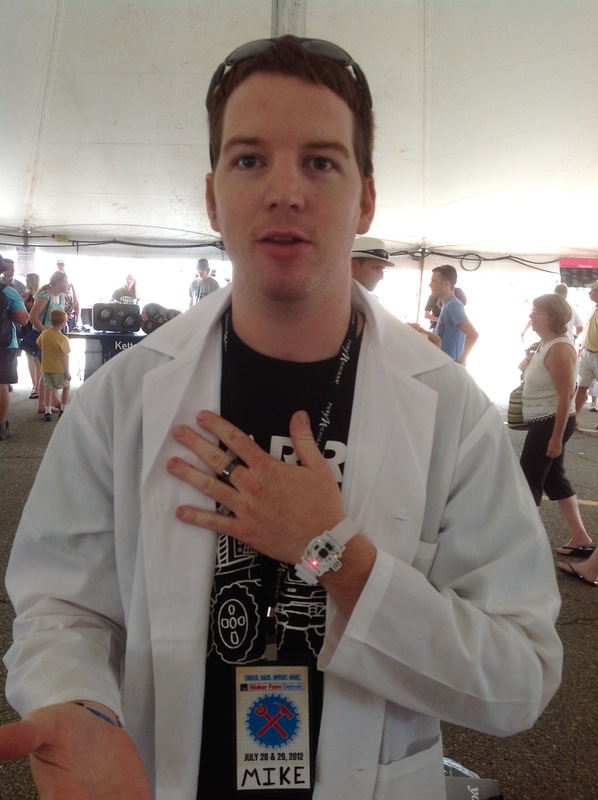 Mike Irvine is a maker who is a lead designer for Useful Robot, which develops geeky kit watches. Mike is also a fencer in his spare time. Noticing that the electronic systems for keeping score were expensive, he decided to create his own system for under a $100, a factor of ten lowering in price of what’s out there now. There are small clubs and schools who would benefit from a more affordable scoring system. 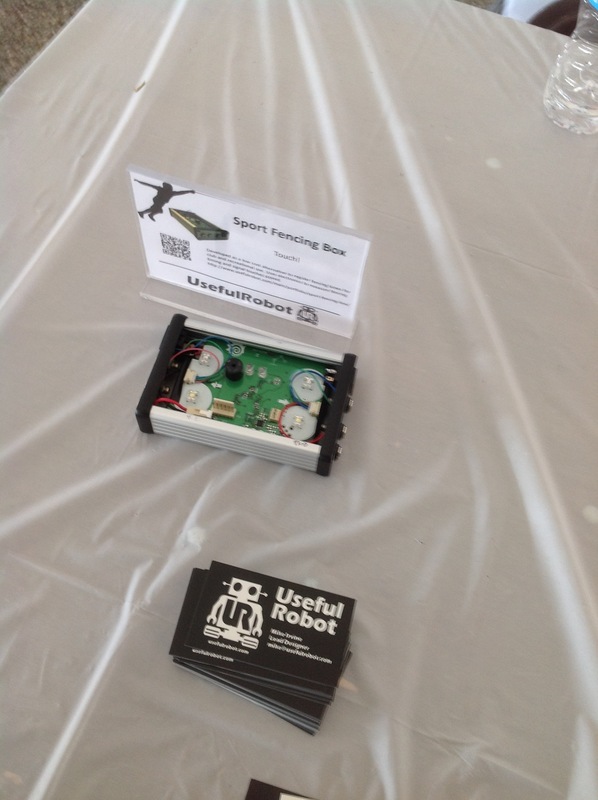 Mike hopes to finish up developing a sport fencer device for sale. I did not know that fencers are plugged into their automatic scoring systems. Wireless systems are used only at the highest level such as the Olympics.